Throughout Pittsburgh are wild landscapes that could be terrific places for people to get out in nature. These are the hillsides that we often ignore as we pass by, or that we grumble about because they act as barriers between two nearby places. What if we consider these wild urban landscapes as amenities instead of annoyances? What if we think about them as convenient places to walk the dog, watch birds or just be outside amidst nature? 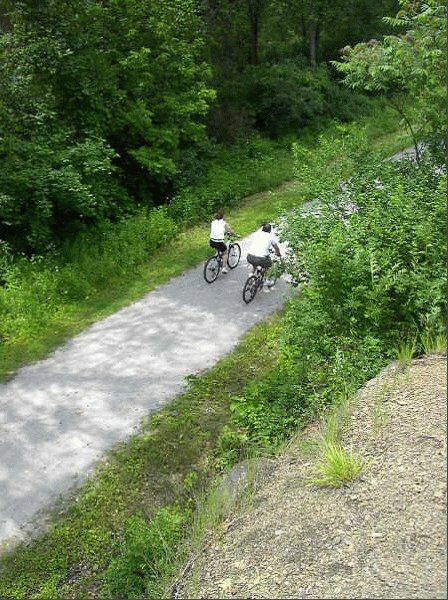 The hillside between North Oakland and the Hill District could include a rugged trail that enables walkers to reach the fabulous views at Robert Williams Park, the highest spot in Pittsburgh. 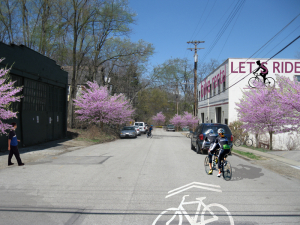 The hillside between North Oakland and Lawrenceville could accommodate a multi-use trail leading from Centre Avenue and Neville Street to Herron Avenue Bridge, creating an important link between neighborhoods and existing trails. Part of this trail would be a tree-top elevated boardwalk. Northumberland County is on its way to fulfilling the vision of creating a world class off highway vehicle and recreation area. Off-roading enthusiasts will have a new destination in Pennsylvania when the Anthracite Outdoor Adventure Area (AOAA) opens in Northumberland County in late fall 2013. The recreation area will welcome all types of off-highway vehicles (OHVs) to trails that provide a range of experiences for riders of different skill levels. 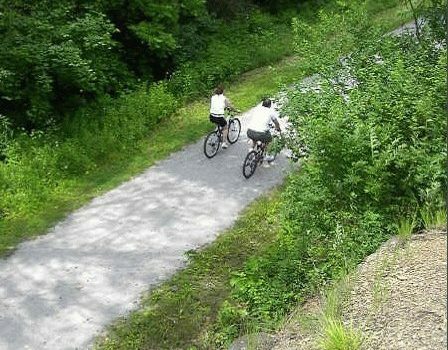 The site also will accommodate non-motorized recreation such as horseback riding, bicycling, hiking and rock climbing. AOAA lands, which are owned by the county, run about 13 miles east-to-west and amount to about 6,500 acres. Much of the land encompasses old coal mines, some of which are being reclaimed, and the kinds of landforms that attract people with all-terrain vehicles, off-road vehicles, utility ATVs and off-highway motorcycles. Eventually, the site will include campgrounds, a vehicle washing station, picnic areas and other amenities that will make the adventure area a travel destination for off-roaders from Pennsylvania and beyond. 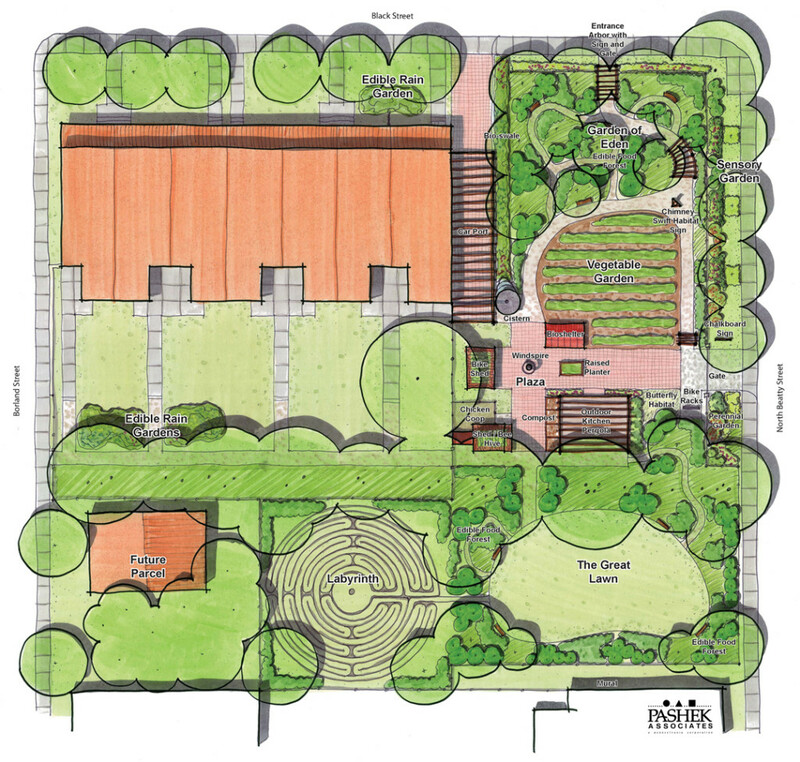 Pashek Associates created the master plan for the recreation area, working in conjunction with Northumberland County officials, citizens and Pennoni Associates. Northumberland County adopted the plan in 2012, in in January 2013 the Commissioners created a municipal authority to manage and operate the new recreation facility. $1.9 million from the state Department of Conservation and Natural Resources’ Community Conservation Partnership Program to plan and begin developing the project. $300,000 from the federal Appalachian Regional Commission to construct an access road. $30,000 from vehicle manufacturers for maps and signage and for trail development. $1.2 million from the state Department of Environmental Protection’s Bureau of Abandoned Mine Reclamation to remediate hazards. The land development planning process is nearly complete, says Patrick Mack, Northumberland County’s planning director and vice chairman of the AOAA authority. Next up is to begin construction of the trailhead area, which will include a maintenance and security building with both a small retail counter and restrooms, parking, and a picnic area. As the AOAA comes on-line, it is expected to generate demand for the private sector to provide lodging, camping, dining and other support service businesses in the area. We congratulate Northumberland County on taking the next steps to turn the AOAA vision into a reality! 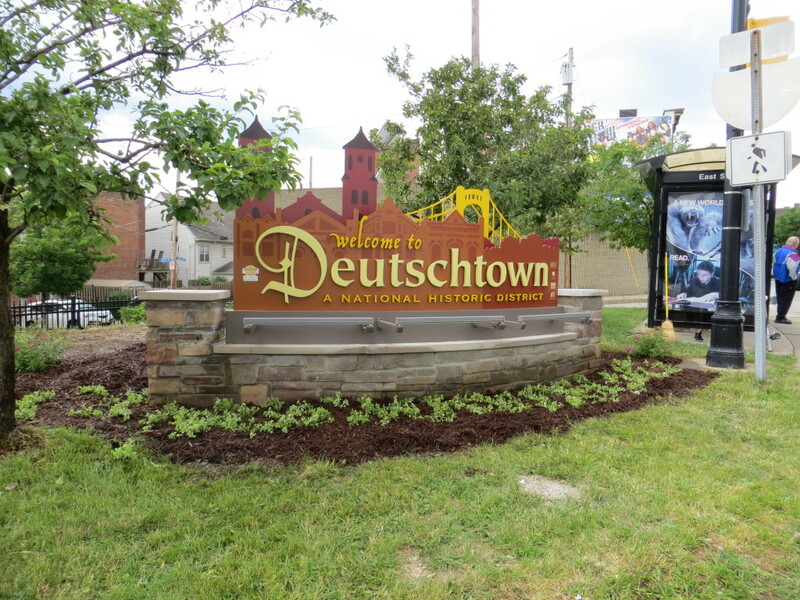 Jim Pashek , Paul Gilbert, and other members at Pashek Associates have been developing, with representatives from the Pennsylvania Department of Community and Economic Development (DCED), a new model for community comprehensive planning. The goal is to truly focus on the key issues of a community or region and to craft a clear, step by step response to those needs. An important component of this model is identifying the community’s capacity to implement the strategies. Gone are the spreadsheets with hundreds of recommendations, replaced with realistic strategies that can be done in response to issues the community really cares about. Jim and Paul have had the privilege to work with Zelienople and Harmony Boroughs in their successful implementation of this new model of comprehensive planning, followed by a plan for Heidelberg, Carnegie, and Scott. DCED believes that this new model of Implementable Comprehensive Planning will have a much greater chance in effecting change in communities. No longer is the Comprehensive Plan the goal. Now communities can expect specific strategies to solving their unique problems as the outcome of their planning. 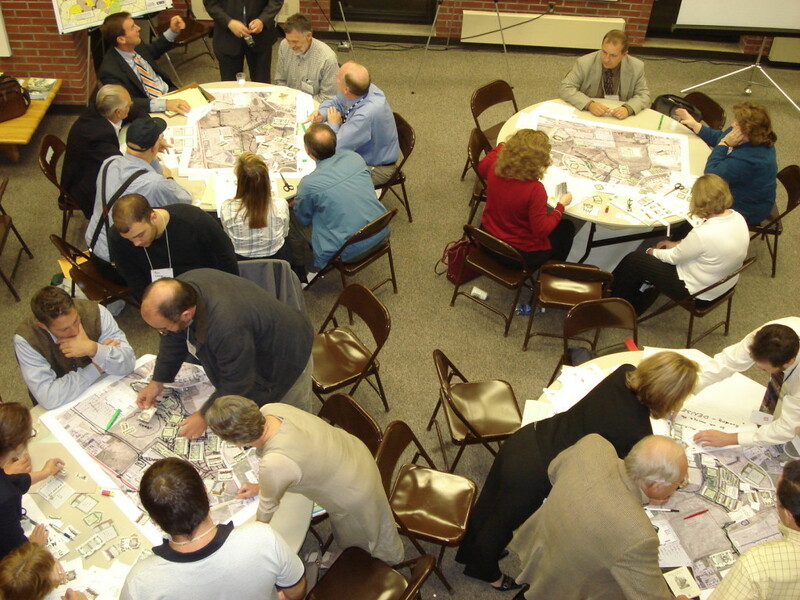 To spread the word about this new model for planning the Western Section of American Planning Association of Pennsylvania sponsored two workshops, one in Latrobe and the other in Carnegie, PA. The sessions, led by Denny Puko (DCED) and Jim Pashek were very well received. 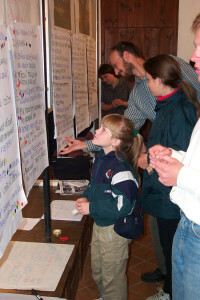 DCED then sponsored similar workshops near Philadelphia, Scranton, State College, and Meadville. We have just learned that the Workshop will be shared with a national audience with a presentation at the APA conference in Chicago on April 13-17, 2013. If you are planning to go to the conference next spring, make sure you stop in and say hello to Jim and Denny. They will be speaking on Wednesday, April 17. 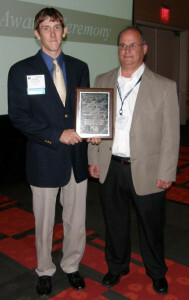 This week David Brooks, of the Austin Dam Memorial Association and Executive Director of the Potter County Visitors Association and John Buerkle, Vice President of Pashek Associates, attended the American Planning Association Pennsylvania Chapter’s annual meeting to receive the 2012 Planning Excellence – Best Practice Award for a recently completed master plan and economic development strategies for the Dam Park in Austin, Pennsylvania. 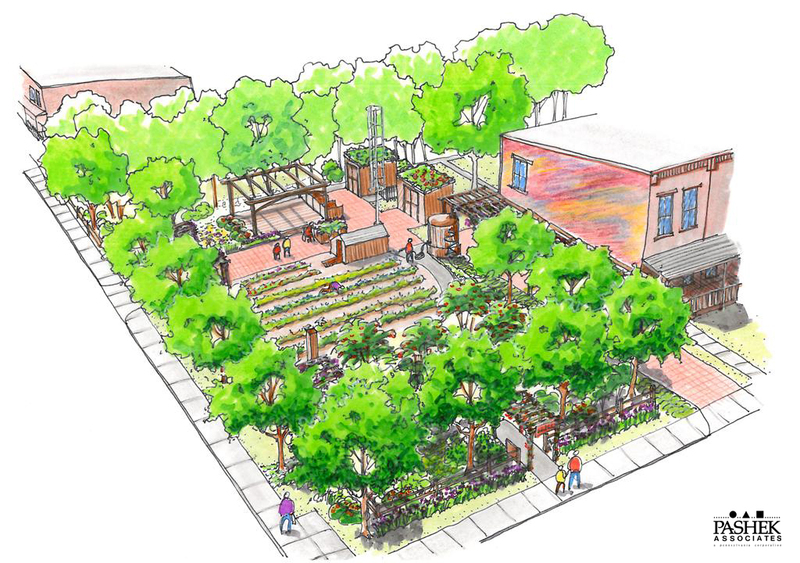 Pashek Associates led a planning team that included Albertin Vernon Architecture, who provided interpretive planning and master planning support. The team encouraged the community to reflect on their history and environment in a way that made them realize the significance of what they have; how they can capitalize on it by marketing themselves; and how to promote and interpret their unique history, environment, and culture of days past and present. 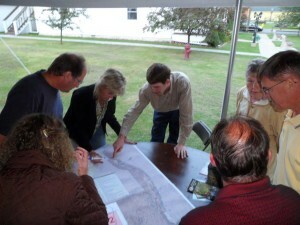 This project serves as a case study on how to understand and convey a ‘sense of place’ and to gain the buy-in of local residents and business owners to think regionally – recognizing local economic development can be enhanced by marketing the Dam Park and Austin Borough as part of the regional PA Wilds, Lumber Heritage, and PA Route 6 initiatives. The plan has also earned two regional awards for excellence. David Brooks, the driving force behind developing the plan, was named the Pennsylvania Wilds Outstanding Leader for his role in the planning effort. Further, Austin Borough was named a Pennsylvania Route 6 Heritage Community of the Year based on the master plan and their centennial observance of the flood of 1911 that resulted from the failure of the dam. Congratulations to all who contributed to the plan! For more information about the Dam Park click here. Saturday, there was lots of activity on the east end of the East Ohio Street business district. 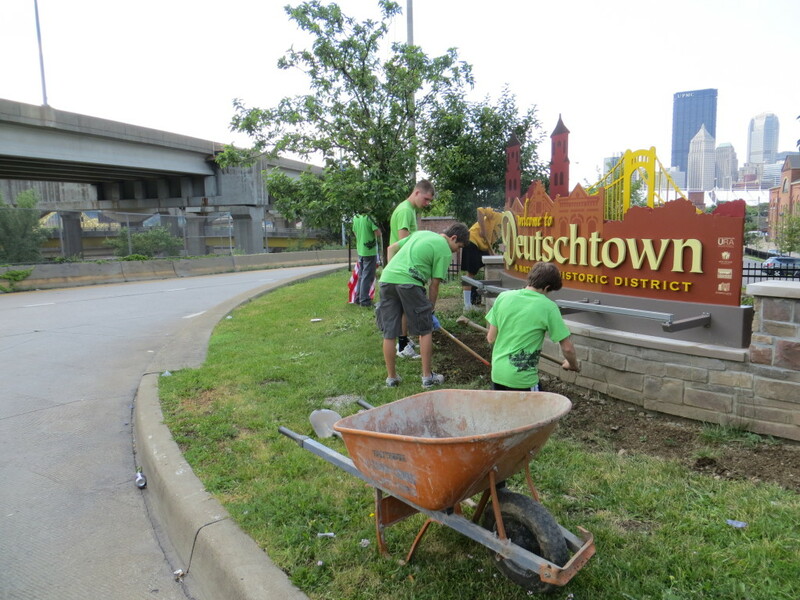 Kids from the nearby Allegheny Alliance Church and neighbors worked to clean up some of the buildings and plant a recently updated entrance sign in the neighborhood. 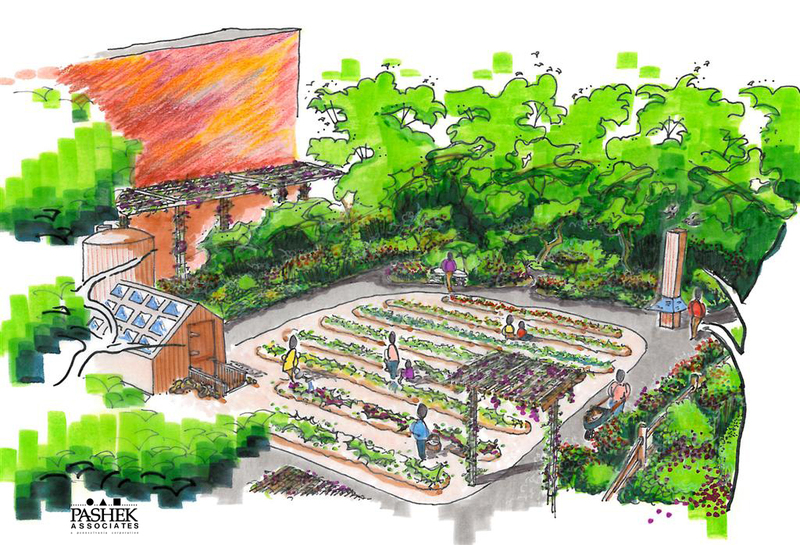 Pashek Associates helped the project by donating design services for a planting plan for the entrance sign, arranging to pick up 40 bags of topsoil and mulch donated by Home Depot and acquiring plants from Best Feeds at their Babcock Boulevard retail outlet. For a week, our office looked like a nursery with plants filling the conference room and hallways stacked with bags of soil and mulch, hoses, and garden tools. John Buerkle, Vice President at Pashek Associates, oversaw the planting operations last Saturday. Thanks John for donating some of your personal time to improve the Northside! This morning Jim Pashek was riding into the office on his bike and had a nice chat with Chris, a young man riding his bike to work downtown. Chris works in the Mental Health field and is studying at Pitt in Social Work. Chris recently moved to Millvale from the East End. 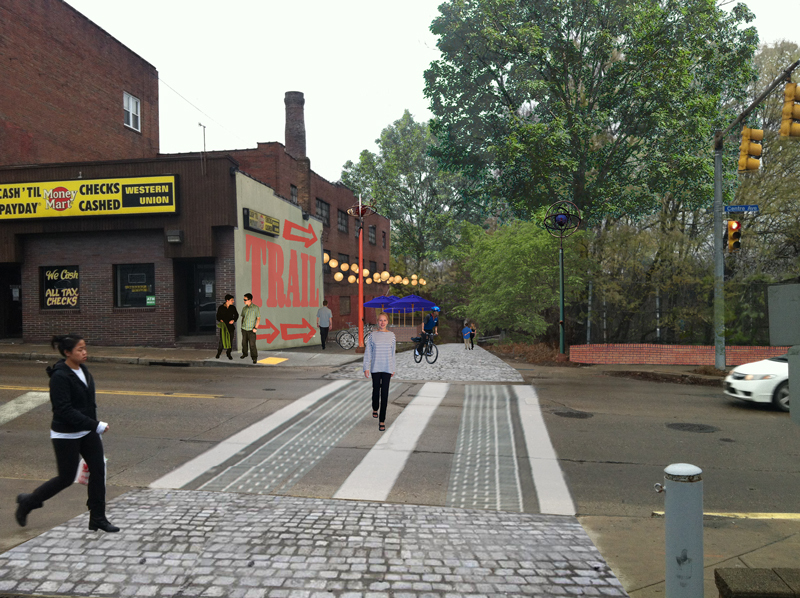 He loves Pamela’s and the other great shops in Millvale but the primary reason he moved there was the trail connection from Millvale Riverfront Park to downtown. Chris’s story is a great example of how trails revitalize river towns. Not only do trails provide recreational opportunities, but they truly are alternatives to driving and parking in the City. They become magnets for young professionals like Chris (and older professionals like Jim) who want to live near a trail so they can ride their bike to work or school. Chris, thanks for talking with Jim and making the 7 mile trip seem much shorter today.